DECE LE Admit Card 2018: The applicants who had completed the application process and waited for the admit card then it is excellent news from BCECEB. The Bihar Combined Entrance Competitive Examination Board is going to release the DECE LE Admit Card 2018 on 18th June 2018 through bceceboard.bihar.gov.in. The officials of the BCECEB decided to conduct the Diploma Entrance Competitive Examination (Lateral Entry) on 1st July 2018. The more details of DECE LE Admit Card 2018 has given below. The organization will go to examine on 1st July 2018. This is the Diploma Entrance Competitive Examination Lateral Entry for interested candidates in Bihar state. The applicants will need to use the below-provided link directly to download the DECE LE Admit Card 2018. To download the admit card or hall ticket every candidate must have login details like application name, date of birth, candidate name, etc. If there will be any changes in examination scheme, we will update end to end information through this article. Applicants need to visit the official website to know additional details about DECE LE Admit Card 2018. We have provided the notification details of Bihar DECE LE exam like board name, Exam Name, Course name, admit card date, exam date and official website of the board in below table format. The Bihar DECE LE Admit Card 2018 available from 18th June 2018. The BCECEB is conducting the Diploma entrance examination every year for eligible candidates. In this year also it had released the notification for admission. BCECE DECE (LE) Registrations-18th May 2018 to 08th June 2018. The Bihar DECE (LE) Entrance Test will be conducted on 1st July 2018. The DECE (LE) Entrance Exam Result 2018 will announce before 05th July 2018. So we advise every candidate will download the admit card through Bihar Combined Entrance Competitive Examination Board before the examination. 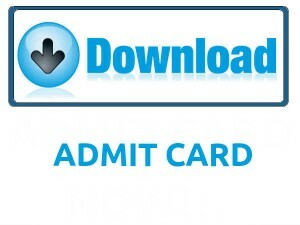 Finally, this is time to download the DECE LE Admit Card 2018 to appear in the exam. The candidates will need to check the information in admit card when it’s downloaded because there will be small mistakes. If applicants find any corrections then immediately inform higher authorities of management. For more updates keep following Sarkari Recruitment. The Bihar Combined Entrance Competitive Examination Board will provide the DECE LE Admit Card 2018 in the examination process to find out the candidates easy in exam center. In every organization examinations, the admit card had important common details about exam and candidate, and this will help to avoid fake candidates. Along with admit card, every applicant will need to carry any identity, i.e., driving license, voter id or any others issued by a state or central government. So we advise every applicant download the DECE LE Admit Card 2018 at least one week before the exam. We have provided the All India Exams Admit Cards in one page through this article for candidates comfortable. Aso check notification, important dates, steps to download the admit card, relevant documents to carry for the exam, etc. in below. The Bihar Combined Entrance Competitive Examination Board will conduct the written test to provide the admissions for interested candidates in Diploma courses. Through the written test, the qualified candidates will directly invite to the counseling process. The counseling process will depend on merit list and cut off marks. For more admission process details check the notification of BCECEB. The DECE LE Admit Card 2018 will play a major role at the examination hall. The Bihar DECE LE Hall Ticket 2018 contains all essential details about the exam like Exam Centre Address, Exam Date and Time, Time Duration of the Exam. And also the applicant details Full Name of the Applicant, Applicant Photograph, Signature of the Applicant. The DECE LE Admit Card 2018 will declare at bceceboard.bihar.gov.in.The exam invigilator must and should check DECE LE Admit Card 2018 from all the participants before sending into the examination hall. If any candidate forgot to carry the Bihar DECE LE Hall Ticket 2018, then those candidates not eligible to write the examination. So all the applicants without any deviations must submit the DECE LE Admit Card 2018 at the examination hall. Contenders should refer all printed information on the Bihar DECE LE Hall Ticket 2018. If any mistakes appear then immediately inform to the board authorities and make the corrections before the examination. To avoid the confusions about the downloading process, we have given few simple steps. So contenders should follow those instructions and get the Bihar DECE LE Hall Ticket 2018 without any stress. Admit card is significant for any examination process. Commonly the admit card or hall ticket had a below important detail of candidate and exam. Candidates will need to carry any document from below specified for security and entrance purpose in the exam center. Everyone will need to follow the below steps to download the admit card from official website of BCECEB without getting errors. The eligible candidates will need to visit the BCECEB, www.bceceboard.bihar.gov.in. Search for the DECE LE Admit Card 2018 notification. Search for the Bihar DECE LE Hall Ticket 2018 download link. Click on the link and enter required details like applicant name, application number, date of birth, etc. Submit the details and download the Bihar DECE LE Hall Ticket 2018. Finally, carry the admit card to exam center along with any id. Submit DECE LE Admit Card 2018 at the examination center. Through this article, our team has provided the admission details of DECE LE Admit Card 2018, Bihar like entrance exam scheme and admit card download process, etc. Leave a comment on below comment box if have any queries. For more updates like recruitment, result, syllabus, previous papers, answer key’s, etc. click on Sarkarirecruitment.com. Candidates can view the result of examination in Sarkari Result. Thank you.